Andre Kuepfer sent us Clopy, a nice puzzle game for MSX turboR made in the 1990s by a group called Noname. The game, which was inspired by games like Kings Valley and Pixess has just been added to our ever growing freeware MSX downloads section. In the game, you have to collect coins, using tools to break walls and open doors, whilst avoiding landmines. There is no music in the game, but some nice PCM samples are used for SFX. The MRC downloads database contains more than 750 freeware MSX downloads. Do you have more contents for our ever growing freeware MSX archives? 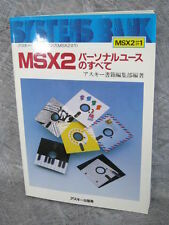 Send them to downloads@msx.org and we will add it to our downloads section. With Spacebar. Once you pick something up, you can't jump anymore until you use the item. I guess you need to put it on a disk with a DOS2 bootsector... that will automatically switch on R800. I ran it on openMSX last night... at full speed to make it somewhat more playable. Nice game. I wonder how many stages does it have. Off-topic – when not logged in, on top of every newspost’s reactions, there is an empty one which says ‘By Google’. @grauw: you prolly disabled google-ads in your profile. when you're logged out they're automatically enabled. And it's probably empty on account of adblock. The T-Shirt sale didn't go quite as well as planned. What? You're gonna bring them personally?